Senate probes alleged plot to sack Saraki, Ekweremadu, others – Royal Times of Nigeria. The Senate has begun investigation into the alleged plot by some members to sack the President, Bukola Saraki and Deputy Senate President, Ike Ekweremadu, and other leaders of the chamber. Senator Obinna Ogba (PDP, Ebonyi-Central) raising the alarm through a point of order at the plenary on Wednesday, alleged that the group of aggrieved senators was also mobilising civil society and trade groups to protest against Saraki’s leadership. 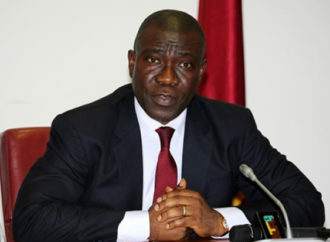 Ekweremadu, who presided over the plenary, referred the matter to the Senate Committee on Ethics, Privileges and Public Petitions.